The continued increase in Federal Excise Duty (FED) on tobacco has not resulted in a proportionate growth in revenue for the national exchequer, as volumes have shifted from the taxpaying industry to the tax evading one. This was discussed at an interactive workshop organised by CRS Strategic Communications at a local hotel. The relevant statistics shared on the occasion suggested that in the ongoing fiscal year 2015-16, FED has been increased to 31 per cent while the revenue increase was recorded at only 9 per cent. This could be compared to 23 per cent FED in fiscal year 2014-15 when the revenues grew by 17 per cent. In the previous financial years 2013-14 and 2012-13, the FED increases were 15 per cent while the revenue growth was recorded at 16 per cent. In addition, the speakers at the workshop argued that formulation of effective policies and practical steps at the government level coupled with social awareness and coordination among stakeholders are essential to curb the mushrooming illicit cigarette trade in Pakistan. Nielsen Pakistan Senior Manager Jawwad Riaz, while sharing a study conducted by Nielsen Pakistan, said that the price differential between legal and non-tax paid cigarettes is the major challenge the government is facing in providing a level playing field for the legal tobacco industry. “One in every four cigarettes in the country is illicit. In Pakistan alone, nearly 19.5 billion illicit cigarettes were consumed in the year 2014, out of which 17.3 billion or 89 per cent were local non-duty paid cigarettes. 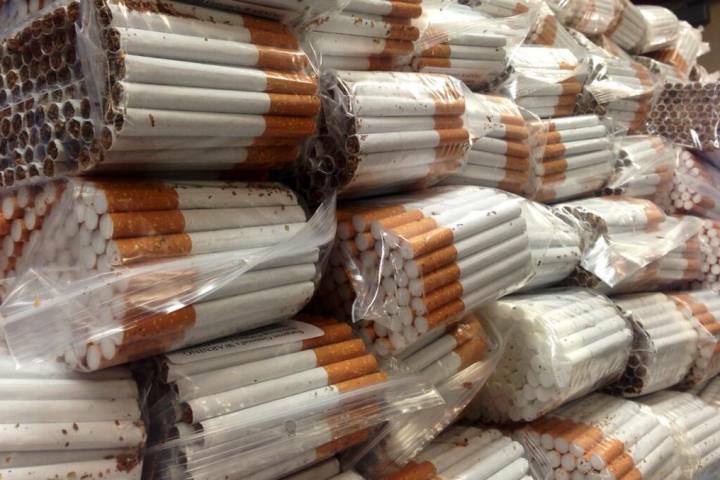 More than two billion cigarettes are smuggled into Pakistan as well and added into the illicit trade each year,” he said. “Overall, 23.7 per cent of the total cigarettes annually sold in Pakistan are illicit. In addition to loss of billions of rupees in revenue to the government, local non-duty paid cigarettes undermine the country’s public health objectives by giving easy access to youth and encouraging youth smoking by selling cigarette packs below the minimum tax payable on a cigarette pack. In short, the pervasive illicit cigarette trade continues to grow with leaps and bounds,” the report said. In his comments, CRS CEO Aniq Zafar said, “In the backdrop of this eye-opening scenario, it becomes vital for all the stakeholders in Pakistan to not only develop an understanding of the existing conditions involving illicit trade of cigarettes but also take a consolidated and unanimous approach to play an effective role against this ever growing menace”.